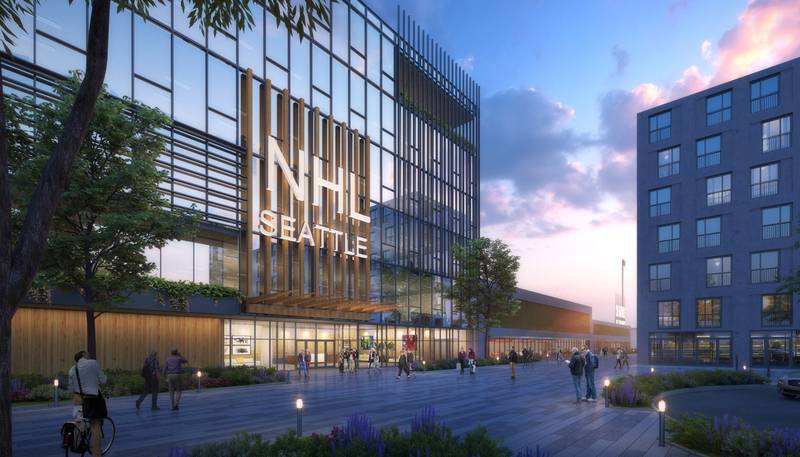 The NHL Seattle Ice Centre will become an "anchor" tenant of redeveloped mall property. If you need any more assurance that the awarding of a National Hockey League franchise to Seattle is going to happen, we give you this nugget: NHL Seattle, the organization working to bring an NHL team to the city, announced today it plans to break ground on a new three-rink NHL Seattle Ice Centre as part of Northgate Mall’s ambitious redevelopment project. The center will offer enough bells and whistles to be “one of the finest NHL training facilities ever built,” in the words of NHL Seattle CEO Tod Leiweke. Though Leiweke’s statement still contains the requisite “if,” conveying the possibility that the awarding of an NFL franchise is not a done deal, today’s announcement was anything but uncertain. NHL Seattle says the privately funded facility — projected cost: $70 million — will become an anchor tenant of Simon Property Group’s redevelopment of the Northgate complex and will become a "host site for training camps, national tournaments, figure skating and training, public ice time and learn-to-skate programs." Last week, the executive committee of the NHL voted 9-0 to recommend that the league’s full board of governors award Seattle an expansion franchise when it meets in December. If that happens, a Seattle franchise could begin NHL play in October 2020 inside a renovated KeyArena at Seattle Center.